Lithuania's parliament Tuesday came a few votes short of revoking the mandate of MP Mindaugas Bastys for gross violation of the Constitution and his oath of office. In a secret ballot, 72 parliamentarians voted in support of stripping the MP of the mandate, while 21 were against and 24 abstained. At least 85 votes in the 141-member parliament are needed to pass an impeachment resolution against Bastys. The Constitutional Court has ruled that the lawmaker grossly violated the Constitution and breached the oath by concealing his ties with Piotr Voyeiko, a former KGB agent. Bastys denies having breached the Constitution, saying that he did not deliberately conceal anything. The lawmaker describes his inadequate answer regarding his links with foreign intelligence officers in a questionnaire he had to fill out to be granted access to classified information as a mistake that cannot be treated as a gross violation. Bastys faced impeachment over his ties with certain individuals named in intelligence materials, including Yevgeny Kostin, who is seen as a representative of Rosatom, Ernest Matskevich, a journalist of the Russian state channel RTR, Saturnas Dubininkas, who is said to be a former Kaunas mafia leader, and Vadim Pakhomov, a businessman suspected of illegal activity. The actions date back before November of 2016, the date of Bastys' latest oath as an MP. 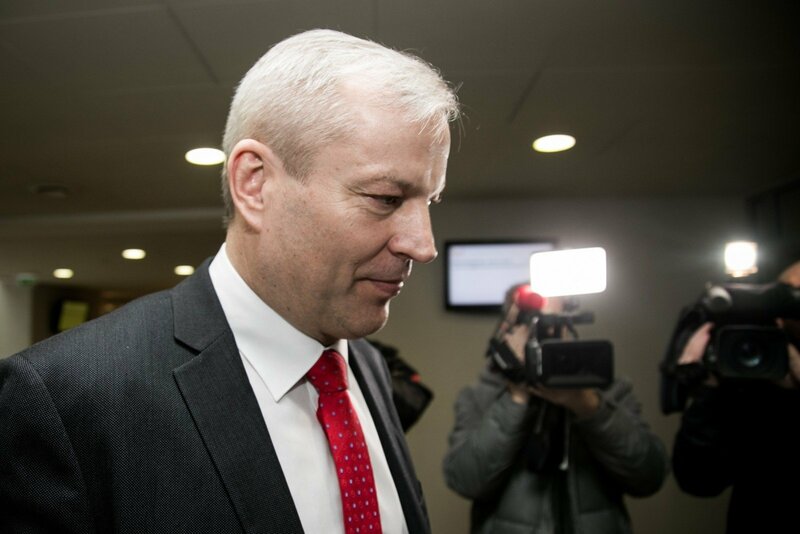 Due to the links, Parliamentary Speaker Viktoras Pranckietis last March refused to grant Bastys a sanction to work with classified information. Bastys won his mandate in Zanavykų single-mandate constituency, which includes Šakiai and a few polling stations in the districts of Kaunas and Vilkaviškis. Amid the scandal, Bastys suspended his membership in the Lithuanian Social Democratic Party. The Lithuanian parliament is to vote Tuesday on whether to strip MP Mindaugas Bastys of his mandate. NSGK chairman does not conceal his intentions: we are accused of destroying the political system, but why keep it as it is now?